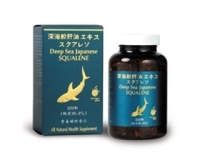 A natural food supplement, Deep Sea Japanese Squalene is pure 99.9% unsaturated oil extracts from the Aizame shark’s liver. Squalene is a rich source of antioxidants, which exerts protective and healing functions and it also facilitates the supply of oxygen in the body systems. 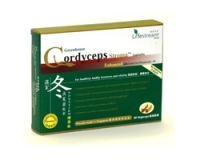 It strengthens the immune system, promotes healthy skin and enhances overall well-being. Each capsule contains 500mg of Deep Sea Japanese Squalene. - Take 2 softgels a day with warm water. = Topical Use: The contents of 1 to 2 softgels may be applied onto the skin after a warm shower to relieve dry or itchy conditions. Heritage Deep Sea Japanese Squalene is manufactured in Singapore according to stringent cGMP protocol and, is registered and approved by Health Sciences Authority, Singapore.